TARGET Do you live and breathe paramotoring? Have you given up trying to explain to friends and family what it feels like and now offer to take them tandem? Has it turned into a business or stayed a fun bonus to solo flying? 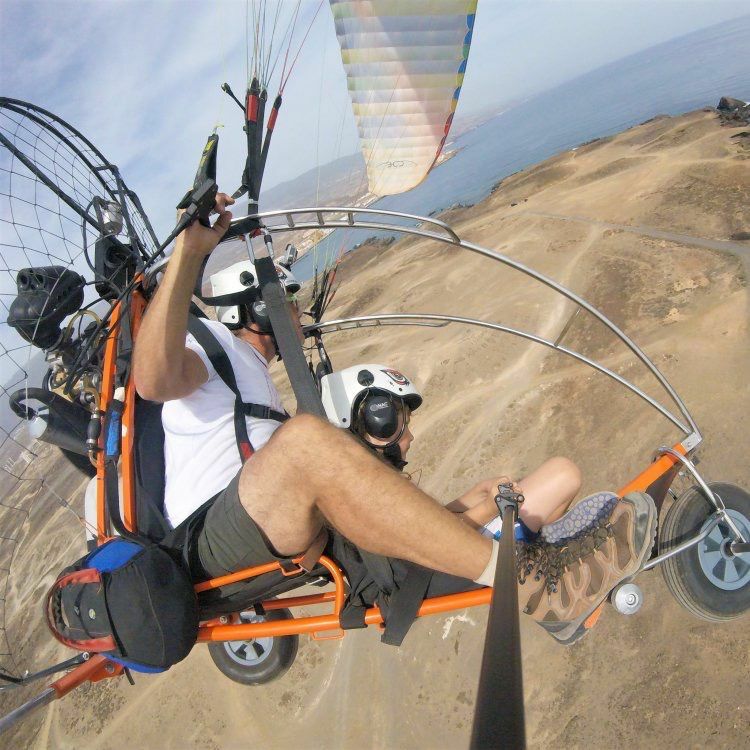 The Dual tandem paramotor wing was made for you. 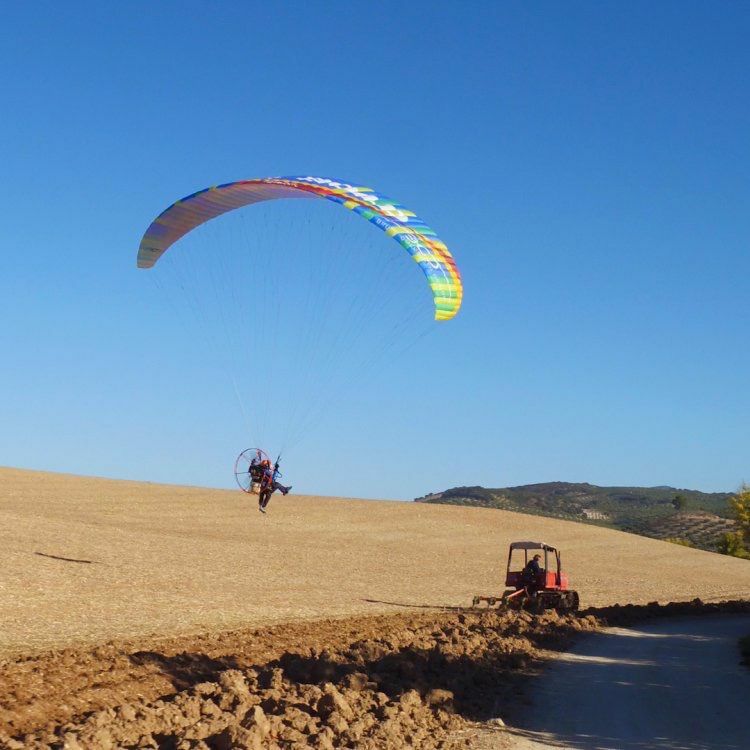 The Dual is designed for commercial and hobby paramotor/paratrike/motorhead pilots who use this aircraft as a safe tool to maximise the flying experience with their friends, family and customers. 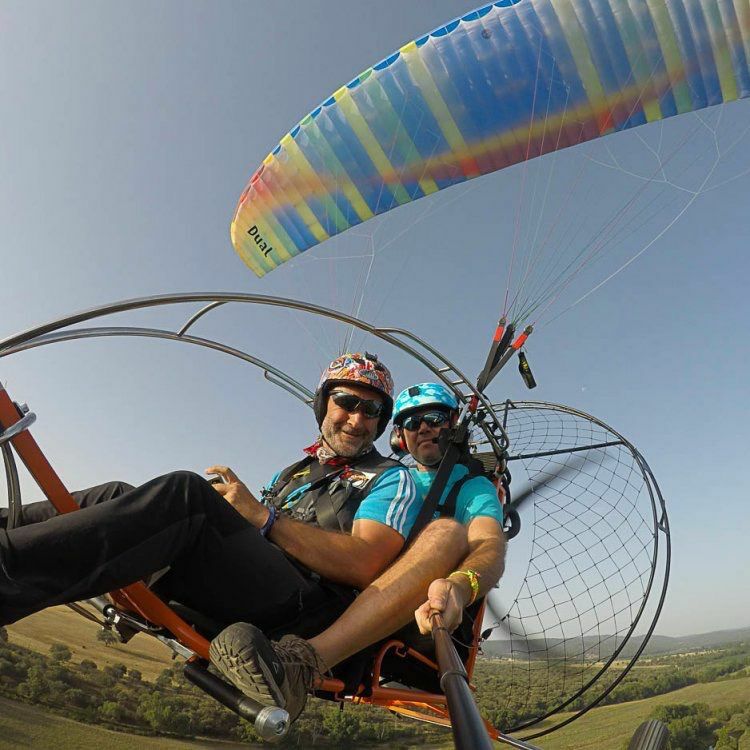 We think paramotoring provides amazing feelings of flight; this paramotor wing is designed to share these sensations with others. Thanks to Bruce’s easy launch, power steering and Cord Cut Billow (CCB), the Dual is for the pilot that wants impeccable safety, easy launch/landing characteristics, light handling, reflex stability, brilliant performance and stable speed. 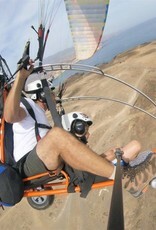 DESCRIPTION The Dual is a both DGAC/EN-B rated versatile tandem paramotor wing, designed by Bruce to maximise the fun. 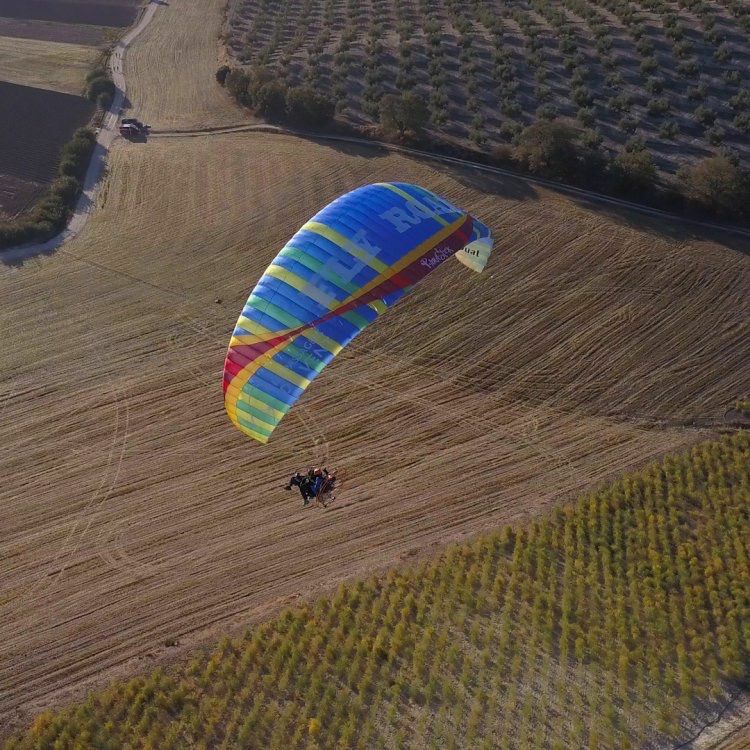 With one size at 40m² flat and a weight range of 120 - 250 kg it is the ideal size for light tandem trikes and tandem paramotors. We have added CCB to the Dual’s leading edge to improve inflation, stability, and performance. The Dual is equipped with trimmers that create a light reflex profile when engaged so pilots can adjust the trim according to their setup and enjoy stable speed while touring. BRUCE'S NOTES When I fly tandem paramotors I don’t feel like I have enough control over the wing, especially while turning. I think this is because a tandem wing is usually faster, holding more energy and inertia than a solo wing. Personally, I don't have enough strength in my arms to make the glider do what I want. I am not going to start weight training so I designed the Dual to have softer and, most importantly, very reactive brakes. This gives the pilot more authority for launching, flying and landing, and feels more like a solo wing. While producing the Dual we focused a lot of energy into the launch/landing characteristics. The Dual has a smooth progressive inflation that allows the pilot time to correct and adapt for changes in wind or terrain. 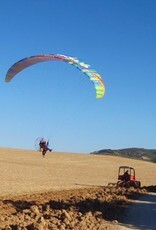 It does not rip the pilot or shoot hard during high wind launching and self stabilizes once over head. Tandem pilots love this since they can’t always fly on nil wind days.